There are a lot of things in my past that I often time bring up to my husband, and he will literally drop his jaw in disbelief. Let's not go too far into thinking I was an exotic dancer of some sort. It's more like, I used to scarf down a whole chipotle burrito every thursday with my friends. (Sour cream + Cheese and all!) And every morning before school, I would have my second breakfast at a fast food place called Bakers. Hash browns. Enough said. And sometimes, after a hard day at my highschool fashion club, I would pull up to my favorite drive through and order my most favorite bubbly beverage. 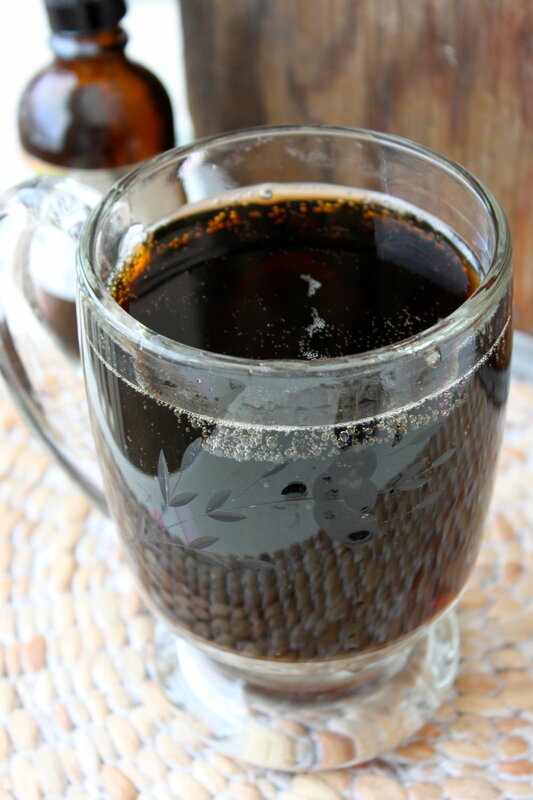 Root Beer. Holy heck, I love Root Beer. 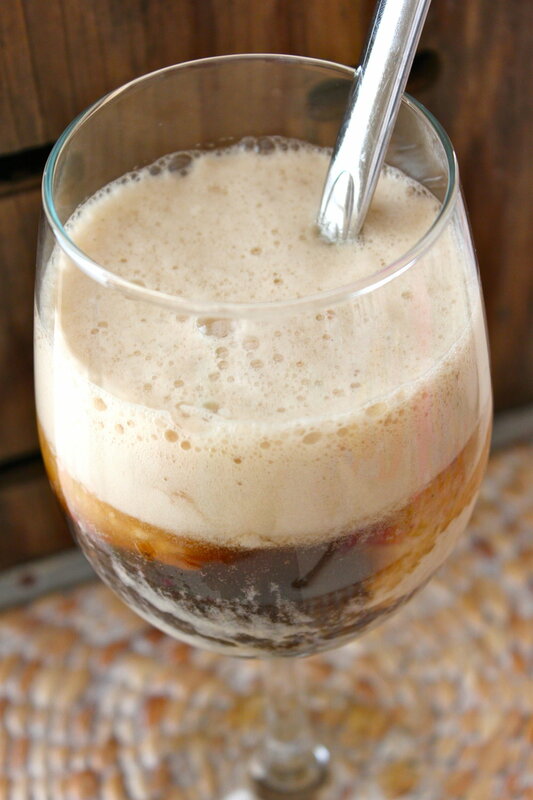 And if my day was extremely hard, (hard as in getting called Booty Booty every time I walked by someone in class-true story), then I treated myself to a Root Beer Float. Booty Booty deserved. I know right now you are probably wondering how much I weighed in high school, but my lips are sealed. Let's just say, thank goodness skinny jeans & leggings weren't in. (More like overalls and flaired bottom pants.) 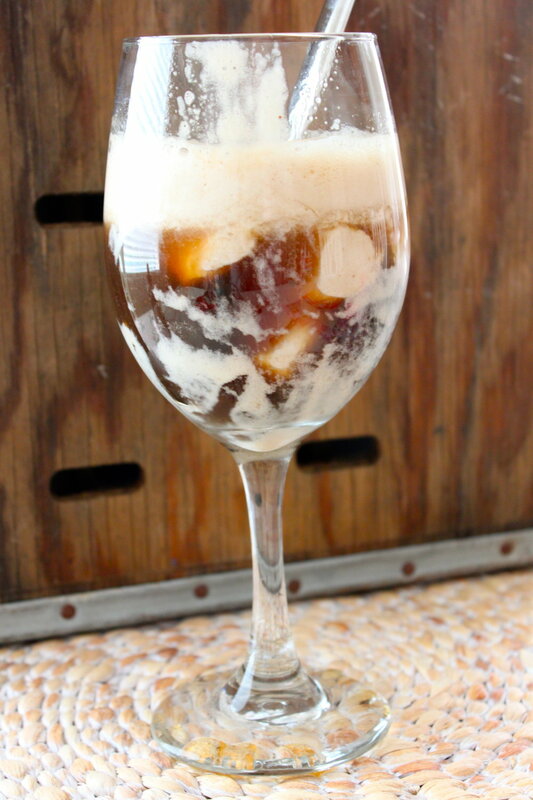 But let's talk about Root Beer Floats. 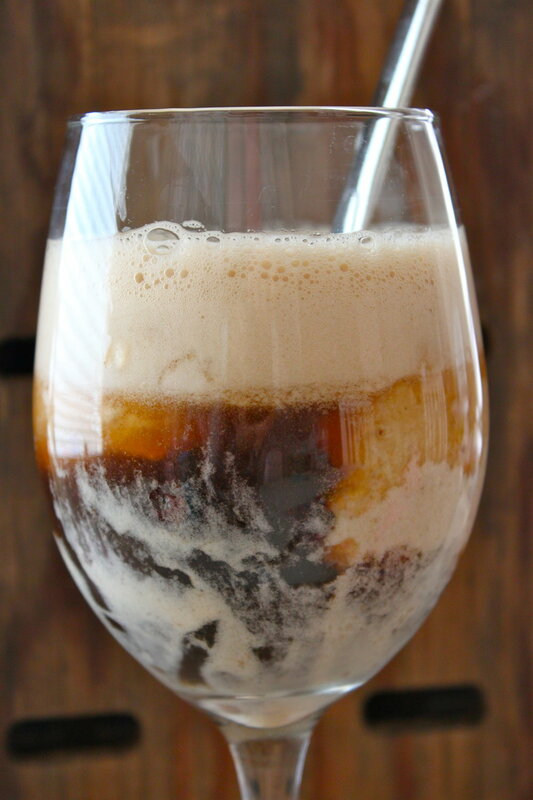 I love making & sharing recipes that people might crave, like Root Beer Floats. I can remember so many times being pregnant wanting one so badly, and I can only imagine there are others out there who feel the same. THE NEED FOR THE ROOT. And ice cream. So the other day in the grocery store I spotted Root Beer Extract, and immediately I got really really excited! I knew I had to re-create my favorite high school beverage. This is such an easy recipe, it's only FIVE ingredients. And I don't count calories, but if you do, I'm assuming its around 100. Yea. Awesome right? In a food processor, puree bananas and vanilla until ice cream consistency. (May need to add a few drops of non dairy milk. Add ice cream to a small container with a lid and place in the freezer. 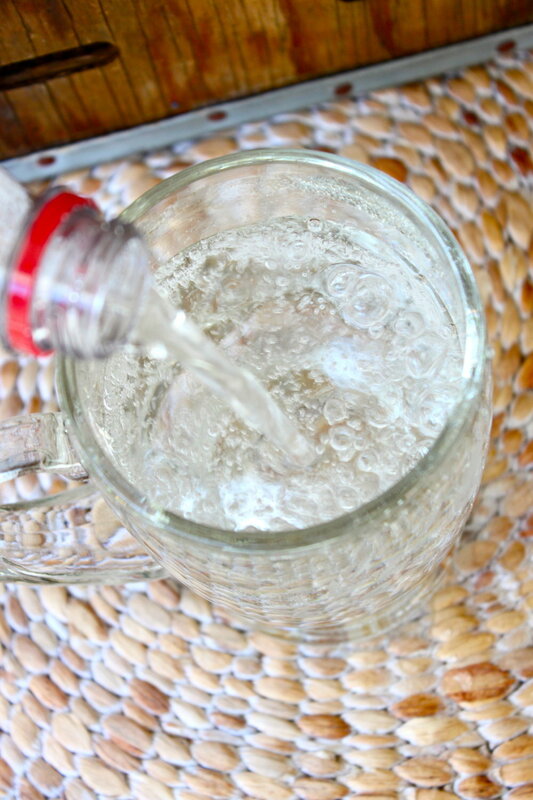 In a liquid measuring cup add sparkling water and root beer extract. Stir. 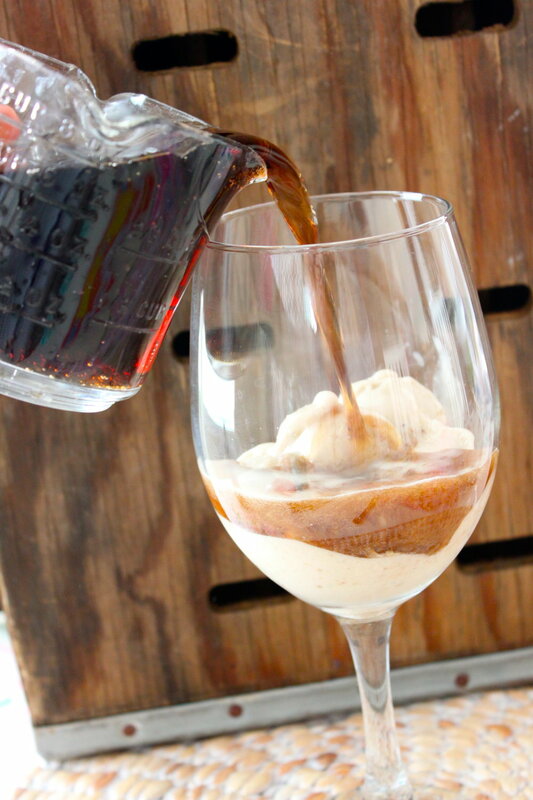 Remove ice cream from freezer and scoop ice cream into a drinking glass. Add root beer on top! Enjoy! And if you must know, fashion club was extremely tiring. Not like a running track or playing sports, but seriously a lot of work. Fashion magazines and movies... I barely got an A.